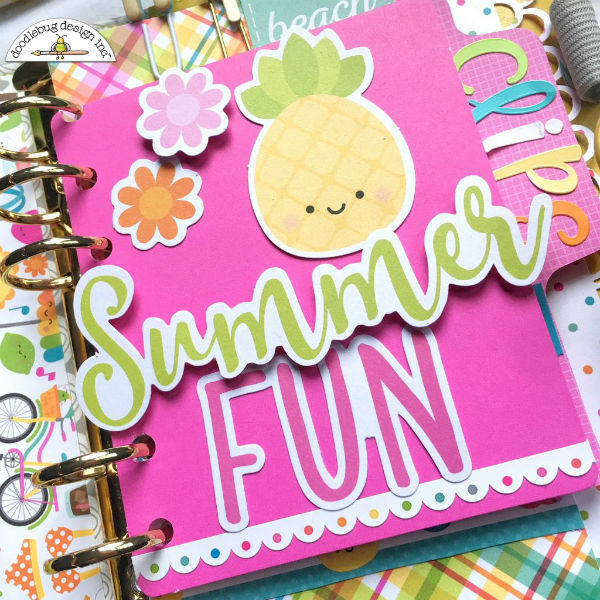 Summer is right around the corner and I am getting my planner ready with the fun "Sweet Summer" collection. It is so bright and cheery and filled with all things happy. I started off by decorating my pockets. One of my favorite things about the Doodlebug Design collections is that there are different 'themes' within each. 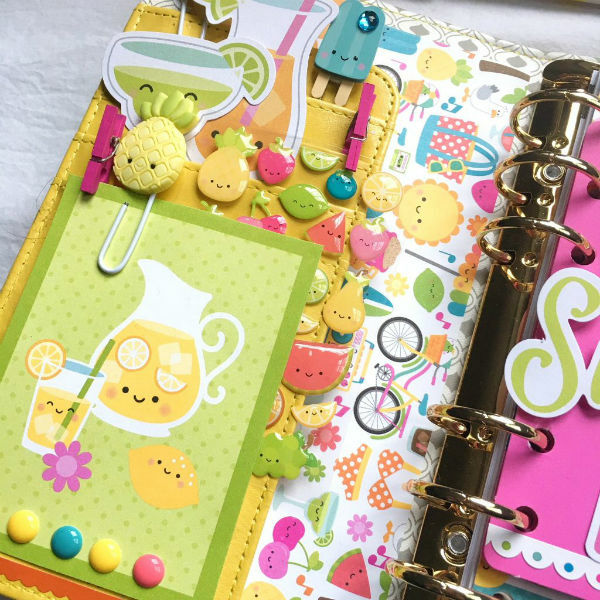 I decided to go with a little fruity, drink motif for this planner. I love the die cuts and the little 3 by 4 card and decided to make them the focal of the pocket. I added some clips and sprinkles stickers, too. If you haven't noticed, I absolutely love Planner Clips. I enjoy making my own and was thrilled when Doodlebug began producting the Jelly Clips! I decided to make a planner clip holder to keep in the front of my binder. It was so easy. I simply used one of the cards from the card pack. I simply added some die cuts and stickers to the card and punched holes in it to add on top of my dashboard. On the inside, I stapled a strip of paper on the ends. I finished up with some Abigail letter stickers. Here's a peek at the inside. 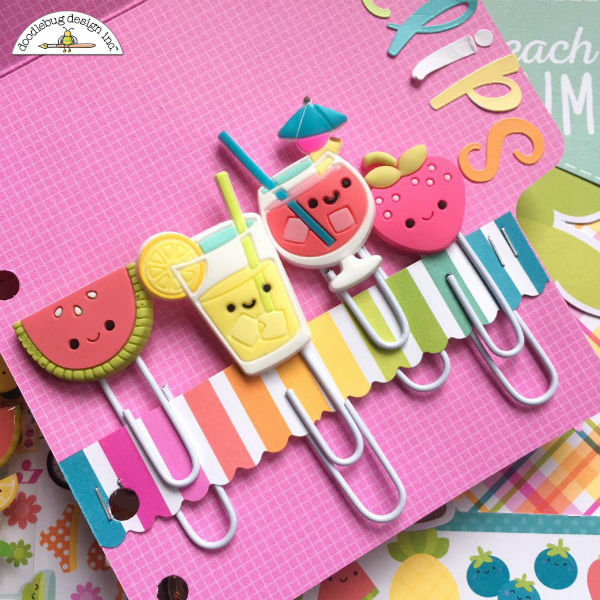 All you have to do is slide the cute clips to the paper strip and you are good to go. Now I can swap out my clips anytime I want. Here is a view of the back of the clip holder and of the dashboard that I created. I absolutely adore that plaid paper! Finally, I had to create planner clips using these adorable little guys! To do so, I added a jewel to each of the Doodlepop stickers. Then I hot glued them to the paperclip, adding a small punched circle of cardstock to the back to cover the glue. My planner is ready to go. Now if only this wet, dreary spring weather would cooperate! 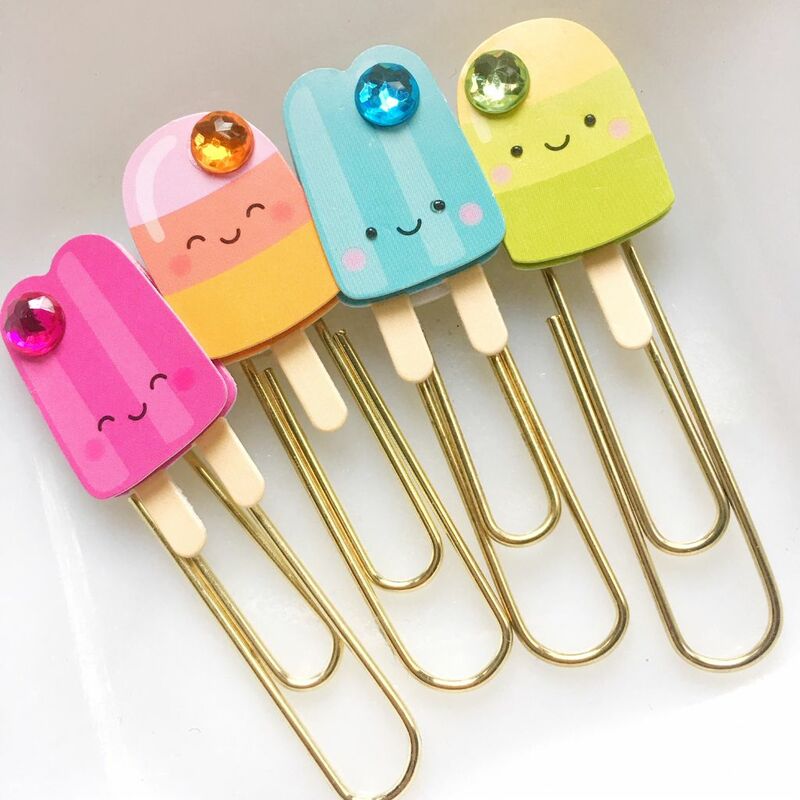 Those popsicle clips are just fabulous!! !